Just hours before its “fast-track” authority for such legislation expired, the Colombian Congress in late November approved legislation establishing the Special Jurisdiction for Peace (JEP) with a weaker mandate than envisioned in the peace accord. It covers only armed combatants – and excludes the civilians who financed the paramilitaries and other irregular forces – and falls short of enshrining the authority of the JEP magistrates. This outcome was the result of obstructionism not only by the opposition parties led by the Centro Democrático of former President Álvaro Uribe and its Conservative Party allies; current President Juan Manuel Santos’ political partners in Cambio Radical, including leader Germán Vargas Lleras, broke with the government several months ago and made criticism of the peace agreement a centerpiece of the presidential campaign. After much wrangling, the watered-down proposal for JEP passed on November 29. The Constitutional Court still has to rule on the constitutionality of the new law, but most provisions apparently face no opposition. The Court unanimously approved the law giving Congress the authority to form the JEP and ruled on some sensitive measures. It confirmed, for example, that members of the FARC could participate in politics without first being judged by the JEP as long as they promise to submit to the tribunal. The Court also said that the JEP will determine on a case-by-case basis if FARC politicians’ responsibilities are compatible with fulfilment of their sentences. It left many details, however, to the Tribunal. The most controversial point in the Court’s decision that provided the framework for the Congressional vote is that civilians and state agents outside the armed forces will not be under the JEP’s jurisdiction unless they opt to be (such as when they expect more leniency than from the ordinary judicial system). That includes businessmen and politicians who financed paramilitarism – a provision that the opposition and Cambio Radical fought hard for. (During legal proceedings involving demobilized paramilitaries under the Justice and Peace Law, former combatants mentioned their civilian sponsors more than 11,000 times.) Victims and human rights organizations have called the decision an attack on their interests and stated it will bring only more impunity in the post-conflict era. The Congress also took steps that, on balance, weakened the JEP’s authorities. It excluded from JEP processes any FARC members accused of sexual crimes against minors. The ordinary judicial system will have greater difficulty investigating and corroborating facts and, combined with delays and problems with impunity, could very well fail to satisfy the rights of either victims or perpetrators. Another change made by Congress was to disqualify JEP magistrates who had worked as lawyers on cases involving human rights and armed conflict during the last five years. Critics claim this article is illegal because it changes the rules of the game months after the magistrates were selected based on specific requirements such as knowledge and professional experience in human rights law. Even though the Constitutional Court most likely will declare the provision unconstitutional, the fact that Cambio Radical proposed these disqualifications raises the prospect of more tensions in coming months and the continued stigmatization of human rights defenders at time that many face security threats in the country. Rhetoric during the peace negotiations and subsequent political skirmishes that the victims were front and center in the formation of the JEP is proving to ring hollow. The JEP starts its mission weakened both by the Constitutional Court and now by Congress. The magistrates will face strong political pressures, and the exclusion from proceedings of the sponsors of paramilitary violence, which during the war at times surpassed by far that of FARC combatants, already complicates matters. Ensuring the rights of the victims, providing justice, and determining the appropriate role for former guerrillas in politics and their reincorporation into society will be no easy task. It will be up to the Colombian people, through popular vote in elections next March, whether a successor government will improve implementation of the peace agreement and the administration of justice, truth, and reparation to the war’s eight million victims. * Ana Isabel Rodríguez Iglesias is a Ph.D. Candidate in International Politics and Conflict Studies at the University of Coimbra (Portugal) and a CLALS Fellow. The 11 members of Colombia’s “Commission for the Clarification of the Truth, Living Together and Non-Recurrence” were announced last week – a landmark in that country’s still tortuous reconciliation process. Jesuit Francisco de Roux, who has worked for peace for decades, will preside over the commission as it undertakes its three-year mission (after a preparatory period of six months). Presidential Decree No. 588, issued last April, broadly defines the Commission’s tasks as contributing to the truth of what happened; establishing the voluntary recognition of responsibilities; and promoting a culture of peace and dialogue throughout the country. Like any truth commission, its mandate includes dignifying the victims and identifying the patterns of violence and the structures that perpetuated the armed conflict; and providing a differentiated account of the suffering of women, children, and ethnic minorities. It will develop a list of recommendations for the future. The truth commission faces a number of challenges and dilemmas that will not be easy to overcome. The polarization of society regarding the peace process, personalized as the confrontation between President Santos and former President Uribe, will require de Roux to seek permanent dialogue and trust-building on all sides. In a first statement, Uribe said the appointment of de Roux was a positive sign. But the current presidential campaign threatens to stymie political agreements and could potentially make the Commission a target to discredit the government. The incapacity or unwillingness of the Congress to discuss legislation on the peace process, as seen this week when not even the quorum was reached, could be a major obstacle. Corruption, drug trafficking, the concentration of land, and other endemic issues that fueled the armed conflict stand to endanger the peaceful future of the country – and will require the careful attention of the Commission. The security situation in several regions already leaves little space for people to present testimony to the Commission. The Commission’s structural link with other elements of the “Comprehensive System for Truth, Justice, Reparation and Non-Recurrence” could cause some confusion. One element of the system is the Special Jurisdiction for Peace (JEP), which will have duties related to criminal justice that could discourage witnesses from providing testimony to the Commission. All noble intentions aside, the “truth” alone may not be sufficient to effect the real transformation that lasting peace will entail. There are plenty of versions of the truth in Colombia, and thousands of volumes of analysis of the conflict dynamics in every region. The involvement of companies funding armed actors and the politicians giving them support have been documented. Academic publications, civil society reports, international analyses, and oral histories abound. But if the Commission wants to make a difference, it must go beyond the accumulation of knowledge. Precedent suggests that the Commission’s effectiveness will depend on finding an efficient way to be present in the regions, thus moving toward citizens instead of waiting for them. A strong public dimension to the testimony of both victims and perpetrators will help give the truth meaning through the empathy that is often missing in abstract discussions on the numbers of the victims. Probably most importantly, a diverse group of friends or supporters of the Commission – credible representatives of different social groups who will eventually push implementation of the Commission’s recommendations – will be key. Colombia doesn’t need yet another analysis of the patterns of atrocities and a list of recommendations that will never be implemented. Truth without follow-up and transformation will only create further frustration and, potentially, more violence. * Christian Wlaschütz is a political scientist, independent mediator, and international consultant who has lived and worked in Colombia, in particular in conflict zones in the fields of transitional justice, reconciliation, and communitarian peace-building. Many who seek to integrate into Ecuadorian society sacrifice important elements of their Colombian identity, making a conscious effort to “unlearn” their accent, speak more softly and slowly, and use diminutive forms of speech to fit in better with Ecuadorians. Those who blend in better tend to have an easier time finding a job, getting housing, and building constructive relationships with Ecuadorians. Others, particularly racial minority migrants, often choose to avoid contact with Ecuadorians, but this strategy of self-isolation removes them from potential spaces where they can negotiate access to rights, protection, and resources. Afro-Colombians are less likely than mestizo Colombians, for instance, to live in neighborhoods with mostly Ecuadorian neighbors. As a result, they are less resilient against attacks or discriminatory behavior because they lack a support network in the host society. Yet others employ a strategy that emphasizes the similarity between the experiences of Ecuadorian emigrants to Europe and Colombian immigrants in Ecuador. They propose a boundary-blurring strategy recognizing migrant rights everywhere and legitimizing migrants’ political participation in countries of both origin and residence. The rhetoric of “universal citizenship” of former Ecuadorian President Correa (2007-2017) – a concept in which every person has a right to migrate and should therefore have access to basic rights – appeared to offer escape from the invisibility bargain and its consequences. The 2008 Ecuadorian Constitution prohibited discrimination based on migration status and guaranteed refugees many of the same rights as Ecuadorians. This “open borders” rhetoric promised a commitment to human security above national security and promoted a reciprocal protection to Ecuador’s large diaspora in Spain and the United States. Crafted to undergird politically beneficial policies, however, Correa’s approach faced political constraints and was undercut by the populist nature of his government style – and made only limited progress at the level of implementation. Surveys show that the legal distinction between refugees and other migrants is still lost in practice in Ecuador. The formal institutions of democratic states fail to provide security for everyone living in their territory in their responses to constituent pressure to scapegoat migrants. In the absence of concrete progress toward concepts like universal citizenship, migrants will continue to face the trade-off between maintaining their identities and customs and successfully integrating into host communities and gaining political rights and participation. Although informal mechanisms of political participation pale in comparison to the exercise of full citizen rights, they can be important sources of protection and assistance. The evidence from Ecuador shows that the frequency and quality of interaction between Ecuadorians and Colombians seem to influence their attitudes toward one another. Migrants reporting daily interaction with Ecuadorians had nearly double the level of positive perceptions of the native population compared to those who interacted less frequently – and broader acceptance by local communities at least offers a glimmer of hope of liberating other migrants from the pain of the invisibility bargain in the future. *Jeffrey D. Pugh is an Assistant Professor of conflict resolution at the University of Massachusetts, Boston, and executive director of the Center for Mediation, Peace, and Resolution Conflict (CEMPROC). Colombia: Did Pope Francis Sway Opponents of Peace Accord? Pope Francis’s recent visit to Colombia included a powerful message to the people, but overcoming the country’s deep polarization and high level of uncertainty around implementation of the government’s peace accords with the FARC will remain difficult as national elections next May 2018 approach. Massive crowds assembled peacefully and homicides plummeted during his visit, and he is credited with facilitating a ceasefire between the government and the country’s other leftist insurgency, the Ejército de Liberación Nacional (ELN), in force from October 1 to January 12. The Pontiff’s reflections about peace, forgiveness, and reconciliation were seen in Colombia not only as a prayer but also as a political message to both the Catholic Church hierarchy and the country’s political leaders to unify behind a commitment to peace. Divisions within the Church over the peace process will be difficult to heal. While many clergy have allied the political elite and its more conservative views about the FARC guerrilla movement, many others, such as the Archbishop of Cali, have supported approval of the resulting accords and their implementation. The Conference of Bishops encouraged participation in last December’s plebiscite, but has remained neutral – despite the Pope’s prodding. When President Santos and former President Uribe, a strident opponent of the accords, met with Francis in the Vatican in December, the Pope pushed hard for them to find common ground, but they left the meeting without white smoke emerging from the chimney. Not surprisingly, Santos and Uribe don’t appear any closer to agreement after the Pope’s visit either. Santos deeply thanked the Pope for his support of the peace process and after his departure, echoed the Pope’s main call to “to build bridges,” to “deactivate hatred,” to renounce vengeance, and to “reconcile ourselves in a fraternal encounter.” Francis didn’t meet with Uribe (and there’s no indication that the former President requested a meeting) and spent his time in Antioquia meeting with the poor. Uribe and his Centro Democrático party reiterated their discrepancies with the agreement. In a public letter to the Pope, the former president said he had never opposed peace, but he forcefully rejected the political character of the war and, claiming the FARC was merely a narcoterrorist organization, and he denied their eligibility to participate in Colombian democracy. “The legal authorization they have received to spend illicit money on their political activities, and other points, constitute incentives for crime,” he said. Parties aligned with Uribe in opposition to the accords – Cambio Radical and the Conservative Party – have also tried to delink the Pope’s message about peace from the peace agreement itself. They advocate a new peace agreement. Even though the Pope hasn’t helped the two presidents mend fences yet, his concept of peace has resonated with the country’s social and political movements, ethnic groups, victims, and intellectuals. A nascent coalition of left-leaning minority parties, called Ni-Ni’s, could give voice and organization to them and – perhaps in the future – bring some pressure to bear on opponents of the accords to come toward the middle. Congressional elections next March and Presidential elections two months later guarantee that implementation of the peace accords will remain front and center in Colombian politics. The national debate may be politically satisfying to some, but it will essentially preclude the sort of renegotiation that Uribe’s forces demand while also forcing delays in important national reconciliation measures. Even if he wanted to, Santos doesn’t have the authority to jettison one of the measures most neuralgic for his opponents – the idea that a Truth Commission will bring to justice military officers accused of abuses during Uribe’s presidency and politicians linked to paramilitary forces – and, even if he could, it would not guarantee a strong enough consensus to plow ahead with the peace plan. Pope Francis may have sown the mustard seeds of a popular movement to press conservatives to compromise, but many challenges remain. By appealing directly to the Colombian people to open their hearts to the hard work of forging lasting peace during his visit last week, Pope Francis avoided direct confrontation with opponents of the peace process but put new pressure on them to cease obstructionism and allow full implementation of the accords. Since the Congress approved the revised version of the peace agreement between the government and the FARC in December 2016, there has been important progress on the formal level of the implementation of the peace accords. The FARC surrendered its weapons and started its transformation from military group to political party of the same name. However, as the country prepares to enter a new phase – with the launch of transitional justice processes under the Special Jurisdiction for Peace and the Truth Commission – peace remains a concept that has still not achieved public enthusiasm. As I have argued previously (here and here), one of the reasons is that common people do not perceive the relevance of the peace process for themselves and lack a sense of participation in it. The Pope’s five-day visit, concluding last Sunday, seemed intended to address exactly these challenges. Under the motto “Let’s make the First Step,” Pope Francis emphasized the importance of reconciliation, peace, truth, justice, and the “culture of encounter” on a spiritual level that transcends the struggles of daily politics. Millions of Colombians, regardless of political affiliation, turned out to hear Francis’s non-partisan message of peace. In Villavicencio, a center of armed violence during the war, 6,000 victims and former combatants publicly attested to their path from suffering towards active involvement in society. Having found healing, forgiveness, and repentance, many now work as psychologists, human rights defenders, or social leaders. Millions around the country watched the event on TV and saw that reconciliation is not an easy path – one without justice or truth – but includes these elements. In Cartagena, the Pontiff emphasized two other essential components of peace: social justice and human rights. Francis managed to combine gestures, massive events, and declarations to emphasize Colombia’s opportunity to leave the violent past behind and open a new chapter of history. His key message – that it is possible to live together in peace – reached many millions. In encounters with the poor, indigenous, Afro-Colombians, victims of conflict, and people with special needs, he drove home that social inclusion is a prerequisite for real change. He emphasized that the peace process “is not a process for minorities,” but rather all of society. Changing the political dynamics around the peace accords will take time, but the Pope has clearly invited detractors to change their attitude and support the process. One news commentator hinted at the sort of awareness that would require. Reporting on Francis’s visit to San Francisco, one of the most marginalized sectors of Cartagena, she said, “This is a Cartagena that we do not know. Thanks to this visit we see the other Cartagena.” Maybe Colombians will also see the “other Colombia” now. Peru’s “New” Drug Strategy: Déjà Vu? Peru, with a capacity to produce about 350-450 tons of cocaine a year, has been approaching Colombia as the world’s top exporter since around 2011, but its new drug strategy is not likely to reverse that trend. Most Peruvian coca now comes from the Valle de los Ríos Apurímac, Ene y Mantaro (VRAEM), and most cocaine flows towards Brazil not the United States. Peru’s national drug control agency, DEVIDA (National Commission for Development and Life Without Drugs), just released a four-year counter-drug strategy in April that warns – again – of the urgency to reverse the ongoing surge in cocaine production but offers few compelling or new ideas on what to do. The report notes the “high risk for Peru that our country will repeat the cases of Colombia and Mexico” in violence, corruption, and other costs of a massive illicit narcotics trade. The strategy has some serious flaws, however. Although the report touts itself as a “Plan Integral,” military spending and eradication far outstrip “alternative development.” Coca “supply control” is the core of the program, though development efforts (mainly with cacao) are offered. Peru’s plan is mechanically sequenced – Pacification, Eradication, Services, and Development – and its rigid militaristic strategy draws criticism. The latter seems basically directly against VRAEM peasants. In 2014, a similar plan was announced to eradicate “50 percent” of the VRAEM coca in just one year, but nothing occurred because of the risky security environment. The sources of some key data are unclear. The report cites UN information but apparently without taking into account the substantial flow of cocaleros and cocaine traffickers deeper into Amazonia, near the Brazilian and Colombian borders. It generally treats the VRAEM, Peru’s main producing area, as an isolated containable “world apart” – poised for national “recuperation.” Security threats in the area, including guerrillas, actually made holding off eradication since 2014 a wise move – it would have pushed cocaleros into the arms of guerrillas – but the new report fails to consider any blowback from its plan. It glosses over the shortcomings of Peru’s security services to carry out what remains a heavily security-based strategy. It makes the startling admission that only 1.5-2.0 percent of VRAEM cocaine and 3-8 percent of cocaine nationally is seized – one of the lowest interdiction rates in the world. (Colombia’s improved intelligence enables it to grab about half of cocaine in-country, and even weak Bolivia does better policing illicit cocaine.) The ease of smuggling in Peru is directly related to the open corruptibility of Peru’s police, military, and politicians. 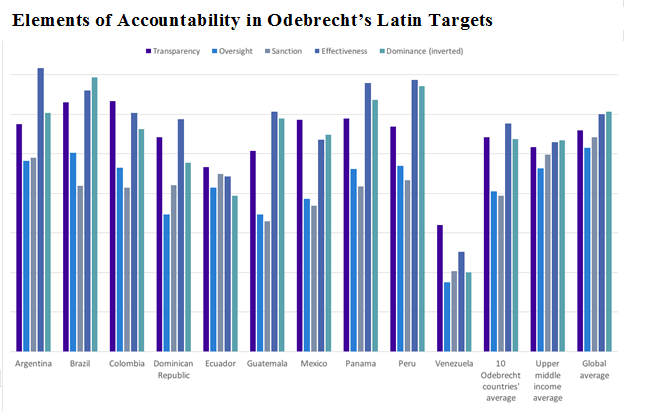 But except for money laundering, DEVIDA’s report barely addresses the corruption problem. Peru, unlike Colombia and Bolivia, has never questioned the UN/U.S. international drug regime, nor does this report. But Peru should expect little overseas eradication aid in the Trump era, raising big doubts about the sustainability of a long-term program. As Colombians learned after decades of drug war against coca growers, including Plan Colombia, forced eradication is one of the most inefficient and futile ways to combat drugs. Studies by Colombian economist Daniel Mejía show that the marginal cost of eliminating a kilo of cocaine from markets by aerial spraying is a whopping $247,000 – far more than a kilo’s price on the street. Eradication also provokes violent conflict and propels growers to new areas, and Peru has many tropical basins ripe for raising coca. Effective intelligence to hit labs and intermediary layers of cocaine trades pays bigger dividends. So does enlisting cocalero unions on the side of the state – to self-police as in Bolivia (now with the region’s least illicit cocaine) and Colombia (where the 2017 peace accord now recognizes cocalero rights). Peru marginalizes cocaleros, precluding the sort of socio-political strategy needed for success. All in all, DEVIDA’s strategy makes it interesting to see whose plan will produce the best results by 2021 – Peru’s, Colombia’s, or Bolivia’s? * Paul Gootenberg is Chair of the Department of History at Stony Brook University and author of Andean Cocaine: The Making of a Global Drug (University of North Carolina Press, 2008).